1. Promotes Fertility: Intake of folic acid, before and during early pregnancy, reduces serious neural tube defects in the fetus by up to 70%. 2. Blood Sugar Regulation: Manganese, abundant in peanuts, plays a vital role in fat and carbohydrate metabolism, calcium absorption, and blood sugar regulation. 3. Cholesterol Control: The mono-unsaturated fatty acids, especially Oleic acid, present in peanuts, help lower bad cholesterol and increasing good cholesterol in the body. Copper also assists in the body’s defense against coronary diseases. 4. Prevents Gallstones: Just eating an ounce of peanuts, or 2 tbps of peanut butter each week, can reduce your risk of gall stones formation or gallbladder diseases, by almost 25%. 5. Fights Depression: Peanuts are good sources of tryptophan, an essential amino acid critical for the production of serotonin, which is one of the key brain chemicals involved in mood regulation. 6. Boosts Memory Power: High levels of Vitamin B3 or Niacin content aid brain function and boosts memory power. Fatty acids provide excellent nutrition for nerve cells in the brain. Additionally, a flavonoid called Resveratrol helps improve blood flow to the brain significantly. 7. Prevents Heart Disease: Peanuts are rich in heart-friendly monounsaturated fats (MUFA) and antioxidants such as Oleic acid. Along with Resveratrol, they prevent heart diseases, cancers, nervous diseases and viral or fungal infections efficiently. 8. Prevents Cognitive Decline: A diet of Niacin-rich peanuts brings down the risks of neurodegenerative induced diseases like Alzheimer’s and Parkinson’s, by almost 70%. 9. Cancer Protection: Beta-sitoserol (SIT), a form of phytosterol, protects against cancer by inhibiting tumor growth. P-Coumaric acid has the ability to reduce the risk of stomach cancer by reducing the productions of carcinogenic nitrous-amines. 10. Weight Management: Peanuts are rich in fiber which means that eating peanuts before your meal can leave you feeling fuller and make you eat lesser. They also are good sources of energy and helpful in increasing your metabolic rate. 11. For Pregnant Women: Eating peanuts during pregnancy can decrease the risk of allergic diseases like asthma in newborns. 12. For Growing Children: Peanuts are a good source of protein and amino acids, providing rich energy needed by active growing children for overall body development. 13. 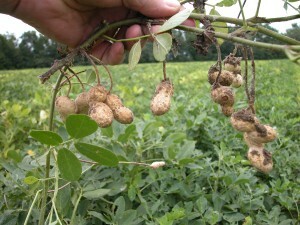 Eliminates toxins: Peanuts are loaded with fiber which helps in flushing out the excess toxins from your body. Toxins are responsible for breakouts, excess oil on our skin. 14. Hair Care: Vitamin C aids production of collagen that keeps tissues in our hair together. L-arginine, is used in male pattern baldness treatment along with omega 3 fatty acids which strengthen hair follicles and promote hair growth. 15. Reduces Stroke risk: The poly-phenolic anti-oxidant, Resveratrol, in peanuts prevents heart strokes by increasing the production of nitric oxide. 16. Anti-Oxidant: Peanuts contain anti-oxidants in high concentrations like Biochanin-A and Genistein, which fight against damage from free radicals produced in the body. 17. Anti-Inflammatory: Omega 3 fatty reduce inflammation in the body to prevent skin eruptions, lowering the risk of developing squamous cell skin cancer. It also moisturizes and hydrates the skin from within to treat skin disorders like psoriasis and eczema. 18. Skin Care: Vitamin E in peanuts defends against cell damage through oxidative stress, provides UV protection. Vitamin C, which helps production of collagen, is required to sustain tendons, skin and cartilage. Beta carotene is converted into Vitamin A in the body which helps in the growth and repair of body tissues. Peanuts are very effective for treating skin problems like pustules, skin rashes and rosacea. 19. Vitamin Store: Peanuts contain B complex, vitamins like niacin, riboflavin, thiamin, vitamin B6, vitamin B9, and Pantothenic acid. 20. Mineral Store: Potassium, manganese, copper, calcium, magnesium, iron, selenium and zinc are some of the minerals present in peanuts.